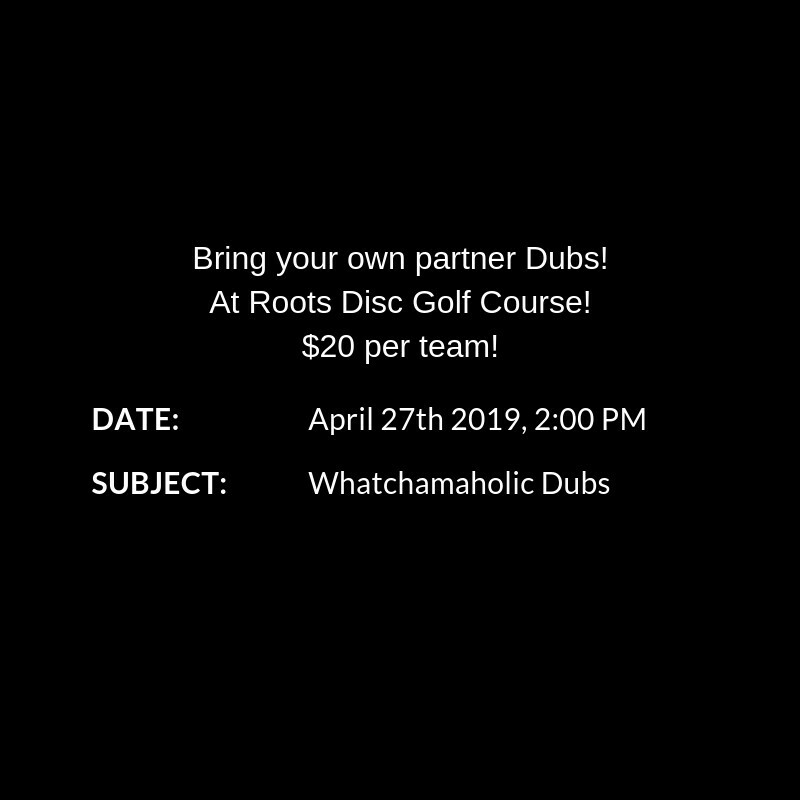 Bring you own partner Dubs! Find a partner and come up with a team name to enter into the best name contest. 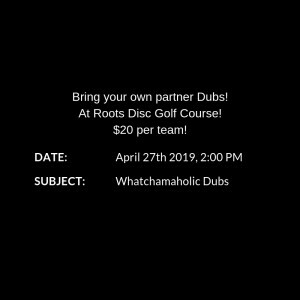 This will be a one round Dubs event. There are three divisions, A, B, and C or Open, MA1, and MA4 to make it easier. Register for the one that suits your team the best! Huckaholics is responsible for all refunds/cancelations.